Well we've been busy bees again working on the house and DIYing for the wedding. Remember when I blogged about DIY details here, well the tiered cupcake stand is done! Those who know us well know we have a plethora of wood rounds drying in our backyard at all times. With that said, we headed out to the yard and picked out what we thought were the best looking rounds. Nick then went to town cutting the rounds into smaller 1" to 3" thick rounds with his trusty chainsaw. Once Nick cut about 10 -13 new rounds I gave them a light sanding, but left them looking natural. Since we didn't want a lacquer finish we only applied one light coat of tung oil. 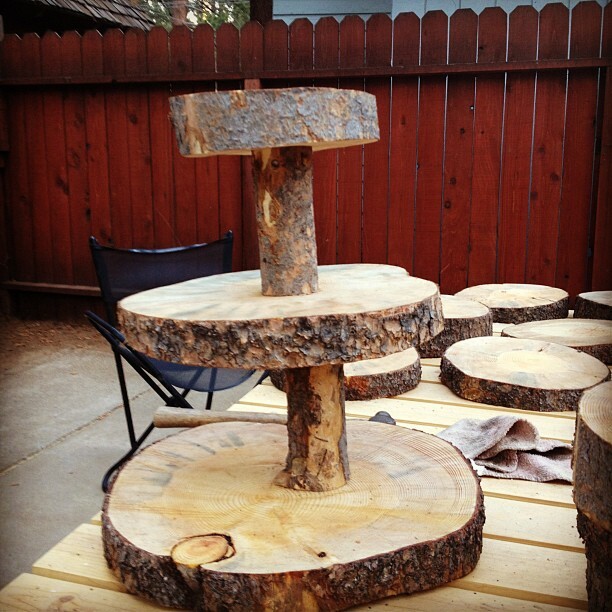 Next we picked 3 different size rounds to create a tiered look. Using an aspen branch and chop-saw Nick made some "legs" for height. Once the legs were cut we placed them between the rounds, made some marks and started drilling pilot holes for screws. 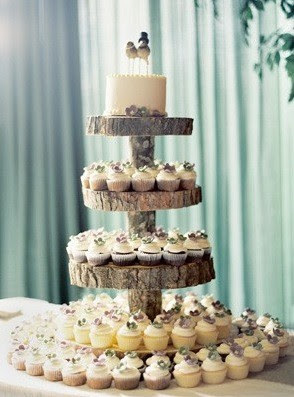 After about 3-4 hours (including dry time) our rustic DYI cupcake stand looked a little like this! Since we already had everything it cost us $0 and little hard work and determination. We can't wait to see what it looks like covered with cupcakes in only 18 days! I can't believe it. The plan is to use the remaining rounds as centerpiece stands. 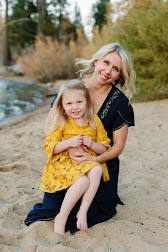 Did you DYI anything for your big day? Love these! The stand is going to look great with cupcakes on them. I can't wait to see the centerpiece stands used! Thanks! We can't wait either. We decided to go with mini bite size cupcakes making each tier a different flavor. Oh and there will be cake truffles too!